It’s 10 years since David Tennant was cast as the Doctor. That has put a big smile on my face. I passed up an invitation to a Doctor Who crew party (second or third series I think) because it coincided with my wedding. I’m still happily married, although my wife is well aware that I did have a plan that would have got me there on time if I was jilted at the altar. Remember those rumors of a big-budget Doctor Who movie? The one that was going to be directed by David Yates? Well, in the recently release batch of hacked Sony emails, it appears that Sony was pushing hard for this movie — and only Steven Moffat and the other Doctor Who producers stood in their way. The plans for Doctor Who were put in an email sent in January  from Andrea Wong, president of International Production for Sony, to the company’s chief executive Michael Lynton. The email says: "[Danny Cohen, the Director of BBC Television] said that while there has been remendous interest (and pressure from [BBC Worldwide]) to do a Dr Who film, the show runners feel very clear that they don’t want to do one at this moment. "That said, over the course of the coming months, the show running team is coming up with an 8 year timeline for the brand – laying out all that will happen with it. "He says that a film will certainly be a part of that timeline. So the answer is that a film won’t happen in the next year to 18 months, but it is expected that it will happen after that within the 8 year horizon. A follow up email from Wong reads: "Spoke to Danny and he doesn’t think it makes sense right now and actually might hurt our cause. I hope we get another big DW film at some point. The Independent has a different spin on the same story which includes this part of the letter omitted from Rory’s I09 story. So it looks like it will, just not that soon. I always assumed that the Day of the Doctor and Deep Breath cinema showings were part of test marketing for a movie…or was I being cynical? I should add that Day of the Doctor was one the most fund nights I have ever spent in a cinema and one of the best uses of 3D I have ever seen. If they want to give us something like that, I have no objections. That’s included in the article I posted, Gar. It’s the fifth paragraph from the bottom. Yes fair point. It was presented in a different order and emphasis so I missed it. I think there are mainly two articles selling the same content from different perspectives. One is that an opportunity was missed and another with ‘it will definitely happen’. Glass half full or empty territory. Apparently the whole Doctor having the same face as another character from the series thing (hinted at briefly in Deep Breath and forgotten about) is going to be picked up in the new series. 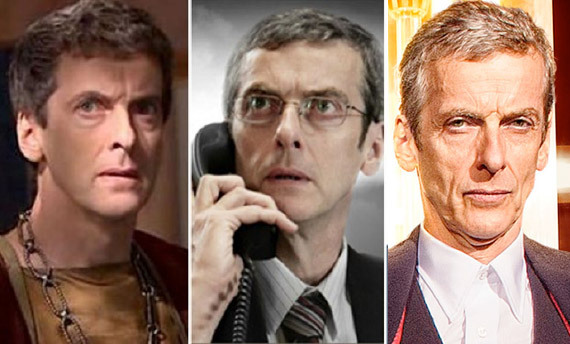 Moffat says Capaldi's face still to be addressed in Series 9. Plus whether Missy came after John Simm, and the regeneration limit. Just watched ‘Dalek’, having not seen it in years. I’ve never been a massive fan of Eccleston but he’s pretty great in this, and the story is fantastic - such a simple premise but one that works brilliantly, and has some powerful moments. It really stands up. 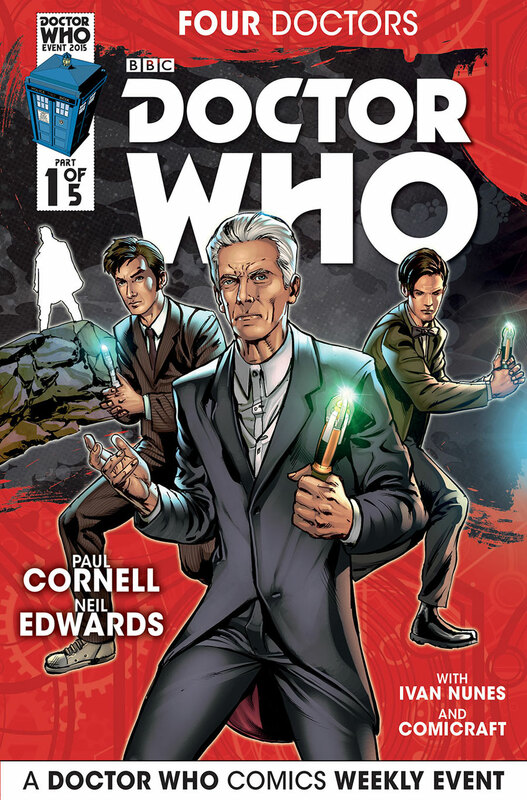 Paul Cornell is writing a Four Doctors summer event for Titan comics. Including the War Doctor. Doctor Who News is the unofficial repository of news, reviews, products and events about the series and its spin-offs, plus regular competitions. It’s going to have the War Doctor in it…I’m so there. I was already there. Paul Cornell is writing Doctor Who for crying out loud. But I’m there even more so now. Yeah, I’m quite tempted to pick that up. Anyone going to that official Festival in November? I got an email about it yesterday, saying tickets were on sale today. Not heard anything about it before, seems a bit short notice. Mind you, I won’t be going anyway, as the tickets start at £68 for a basic, adult one day pass, which seems excessively steep. Possibly to save money by getting to re-use sets, etc?